It's Saturday again! Time to plan, prepare, and shop for your food! I have given you a lot of information this week that could drastically change the choices you make when you're at the grocery store. First, I would like for you to prepare a list of what you are going to get at the store, as you have in past weeks. Then, I want you to go through that list and mark the things that are not “real” in your list. My challenge for you today is to see if you can replace any or all of those “not real” foods with a better, whole food choice. 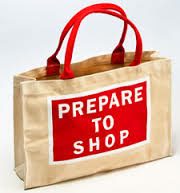 Then prepare, shop, and let's see how things go!